Roulette’s origins can be traced back to the 18th century where it was first played in France, before spreading into the US and the rest of Europe. Although growing in popularity, in France the game was mainly played by the well off and the aristocracy in Monte Carlo, and across the US in impromptu gambling dens. It was in the 1970’s with the spread of casinos that roulette really began to grow with more people playing the game than ever before. Roulette took the next leap forward when the game moved to the online casinos, the simplicity and the thrill of the game making for a perfect online casino experience. 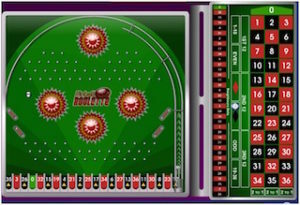 The online roulette software has seen great improvements over the years, with amazingly lifelike graphics and great variations of roulette games. Online roulette has flourished with more people having the ability to enjoy the game due to advancement in the technology. Below, you’ll find a comprehensive look at roulette software companies that have made online roulette casino the game it is today. We take a look at the each of their games and some of the top casinos that make use of their software designed to play virtual roulette. Each of these games has slightly different rules (as an example, the American game has two zeros as opposed to just single zero in European roulette) and you’ll be able to find all of these at the majority of online casinos. Some sites will offer standard versions and premium versions developed by roulette software companies. The standard versions offering straightforward gameplay, the premium versions possibly employing enhanced graphics or a wider range of options, statistics, and explanation of roulette rules. You’ll also find different ways of playing these traditional roulette games. You could play at a multiple of tables at once, with one bet awaiting the spin of six or more wheels. You could also play a turbo version, where you’ll not have to wait for the spin and just see the result, or play with others while conversing through a chat box. One of the great things about virtual roulette, however, is the fact that you’ll be able to play games not available at a bricks and mortar casino and having the ability to receive a welcome roulette deposit bonus, giving you the opportunity for much bigger wins than normally available. Mini Roulette features games with just twelve numbers and Pinball Roulette is a great hybrid of the two games. These games add an extra element of fun to the great game of roulette. You can rest assured that software developers will continue to bring bigger and better versions of both traditional games and fun versions of the game to online casinos for many years to come. In the US, online casino gambling is not as straightforward as it once was, due to the enforcement of the UIGEA in 2006, which made financial transactions to gambling sites difficult. 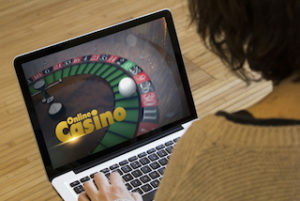 However, many offshore sites offer their online casinos to US customers, making the financial transactions as pain-free as possible with a variety of deposit options. Many of these casinos make use of the software supplied by Real Time Gaming, BetSoft and Rival Gaming. All of these companies offer top notch casino software suites, with a great range of slots and other casino varieties to complement the online roulette casinos. Throughout the rest of the world and in particular in Europe, online roulette casinos are big business, with new online casinos popping up all of the time. This has led to the established gambling companies ensuring their casino offerings are some of the best in the business. They do this by signing up as licensees with the best online casino roulette software suppliers – including MicroGaming, PlayTech, NetEnt and IGT. These companies supply a great number of online casinos, offering many other games alongside their roulette, including amazing slots and top quality table games. Updated on September 14, 2017 by Best Roulette Team.